How The FBI Infiltrated The Hutaree Militia Last month, David Stone Sr. and his wife, Tina, were among nine people indicted on sedition and weapons charges in what prosecutors say was a plot to spark an anti-government uprising by killing police. In an unusual twist, the FBI not only used surveillance tapes and an undercover agent to unravel the alleged plot but also got help from another militia group in Michigan. 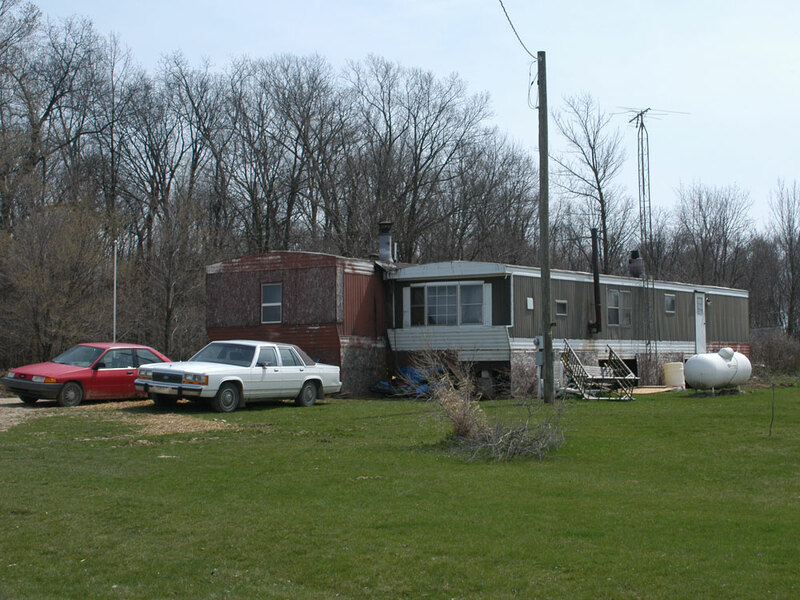 David Stone Sr. and his wife, Tina, members of the Christian militia Hutaree, lived in these trailers in Clayton, Mich. Last month, the Stones and seven other militia members were indicted on sedition and weapons charges. Prosecutors say there was a plot to spark an anti-government uprising by killing law enforcement officials. The two trailers where David Stone Sr. and his wife, Tina, lived in southeast Michigan look frozen in midcollapse. They sit on a patch of land on the border of two sleepy southeastern Michigan towns: Adrian and Clayton, about an hour southwest of Detroit. The trailers sit side by side, as if they are leaning on each other for support. The sides of the structures are pockmarked. That's because they are riddled with bullet holes — not going from the outside in, but from the inside out — the result of accidental discharges from the cache of weapons the Stone family allegedly kept inside. To hear the FBI tell it, more than just gunfire was coming from inside those trailers. Prosecutors say the trailers were ground zero for a sinister plan to spark a conflict with the government and perhaps inspire other militias to join in the battle. Prosecutors say David Stone Sr., Tina, his son Joshua and a handful of others were members of a small, violent Christian militia they called the Hutaree. And they wanted to go out in a blaze of gunfire and glory. 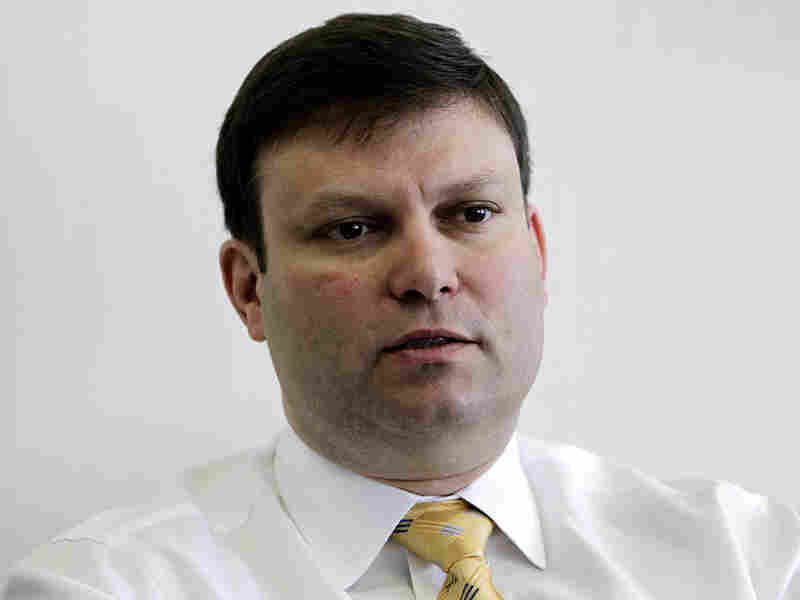 "I think going back a couple of years ago, we kinda got wind of this group and there could be some issues with them," said Andrew Arena, the FBI's special agent in charge in Detroit. "Like any extremist group, I don't think in reality they believe that they're going to personally overthrow the U.S. government. The plan is to basically be the match or the spark to ignite the revolution." Last month, David Stone Sr. and Tina were among nine people indicted on sedition and weapons charges in what prosecutors say was a plot to spark an anti-government uprising by killing police. On the surface, it is not as crazy as it sounds. Although Lenawee County in southeastern Michigan is mostly farm country — all barns and flat fields that seem to go on for miles — it is also militia country. It is not unusual to see armed men in camouflage emerge from the woods or gather in state parks. A couple of times a month, militia members gather to do everything from compass reading to sharpshooting in the nearby woods. According to the Southern Poverty Law Center, there are dozens of militia groups in Michigan, making it second only to Texas in terms of the number of volunteer militia members it has. "There's people out there shooting all the time and stuff, but unless you know for sure, you think they're just hunters," said Angela Chase, who lives near the Stones' trailers. "You just never know when there are people out there who are crazy." Local militia members had their own opinions about the Hutarees. They knew them only in an arm's length way. The Hutarees had come out occasionally to practice shooting or training in the woods with other local militia groups. But that stopped a couple of years ago when the group started getting very secretive and standoffish. "They would always talk about putting together training sessions with other groups but they would always neglect to say when or where," said one local militia member who doesn't want anyone to know he's in a militia. Law enforcement officials tell NPR that it may have been this low-grade concern about what the Hutarees were up to that led a member of one local militia to infiltrate Stone's group — just to keep an eye on them. That militia member ended up becoming a cooperating witness in the case. An FBI surveillance tape obtained by NPR provides a glimpse into Stone's view of the vast conspiracy burbling in the shadows. In the tape, he says he could see local cops joining forces with foreign soldiers to take over the U.S.
A war of this magnitude will not be easy. But like the rattlesnake on the flag, we have rattled and warned the new world order. Now it is time to strike and take our nation back. "Do I think all the cops out here would — they would fight right alongside some Chinese trooper, heck yeah," he says on one of the tapes. "It's all about power. It's about the authority. They see us as the little people." The tape was made in February while the group was driving to Kentucky to attend a militia rally. Stone had prepared what he hoped would be a rousing speech for the gathering and he read it to the others in the car. "We need to quit playing this game with these elitist terrorists and get serious because this war will come whether we are ready or not," Stone told the other members of the Hutaree as they drove back to Michigan. "A war of this magnitude will not be easy. But like the rattlesnake on the flag, we have rattled and warned the new world order. Now it is time to strike and take our nation back." William Swor, David Stone's defense attorney, confirms his client is speaking on that tape. But he says there is nothing in what Stone said that is the least bit illegal. "The things ... in that statement were no more radical, no more offensive or dangerous than anything any of the right-wing wackos on television and radio said the week before these folks were arrested," Swor said. But the FBI's Arena says the Hutarees crossed a line when they plotted to kill police. He said prosecutors will show evidence of that plan in court. This isn't about the First Amendment, Arena said. Andrew Arena, the FBI's special agent in charge in Detroit, says prosecutors will show evidence in court that the Hutarees plotted to kill police. "In this country you can say just about anything you want against the government — but when you start taking action against that government, that's a problem," he says. "How you define it, in each case, it is a little different. In this case, we define it by the fact that they were starting to plan how they were going to ignite the war." The low-grade concern about the Hutaree escalated to a new level last fall, an NPR News investigation has found. That's when the FBI says it got word that the Hutarees were building bombs and detonating them off in the woods. For the most part, the FBI says it leaves militia groups to their own devices. But when explosives are involved, officials feel a line has been crossed. So when the Hutaree allegedly starting making improvised explosive devices, the bureau decided to infiltrate the group with its own undercover agent. As it turns out, there was a side benefit. Arena said the undercover officer who was accepted into the group was offered membership because he said he had a special skill: He knew how to make bombs. Arena said the officer offered to take over that part of the group's operation. That meant the FBI would now have some modicum of control over what it saw as the Hutarees' most dangerous asset: explosives. "We were very fortunate to be able to insert an individual who was able to take that role, and it certainly helped me sleep a little better at night," Arena said. There's one more twist to the story. Four years ago, a young man named Matt Servino thought about joining the Hutaree. And he talked to David Stone about it — at length. But Servino said Stone made him a little nervous. "You could tell he was getting really upset about anything the government was doing," Servino said. "Not to the point of, 'Let's go do this particular act or something.' But he would just say, 'Something needs to be done. These protests and things aren't cutting it anymore. ... Something serious needs to happen.' "
Rather than join the Hutaree, Servino decided to resurrect an old militia — a local unit in Lenawee, Mich. And while he and Stone would exchange pleasantries anytime they met in town, Servino tended to keep clear of whatever it was they were doing out there in the woods. And that worked just fine until the weekend before Easter. 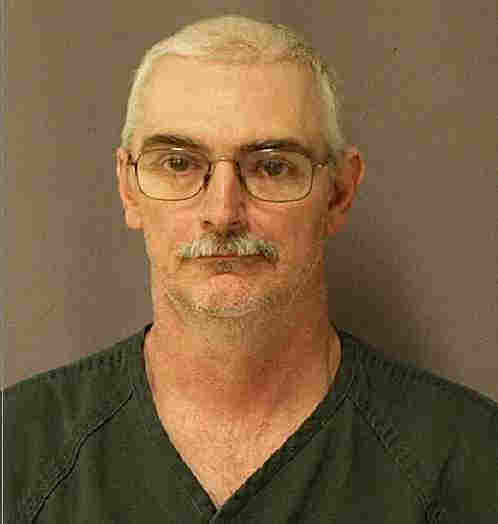 That's when federal authorities arrested Stone, his wife and six other Hutaree members. Stone's son, Joshua, was not among them, and he turned to Servino for help. He assumed, as a fellow member of a local militia, Servino would be sympathetic. "He asked for assistance ... weapons, gear and whatnot," Servino said. "He asked us to back him up to get on his property. He knew a back way onto his property and was pretty confident in himself that he could get to weapons or supplies that were stashed on the property that the [Bureau of Alcohol, Tobacco, Firearms and Explosives] wouldn't find." Militias have generally been perceived as lying in wait for opportunities like this: Occasions when these small bands of private warriors could engage the government and go out fighting — like what happened in Waco, Texas, or Ruby Ridge, Idaho. But that isn't what happened here. Instead of helping Joshua Stone, Servino told him his group was staying out of it. And Servino went a step further. He brought his militia together. "We talked about it, and we decided as a group to go to the state police department, local here, and talk to them and tell them what little information we had," Servino says. A day later, the FBI arrested Joshua Stone in a neighboring county — without incident. Servino says what the Hutarees are accused of doing is precisely the kind of thing that gives militias a bad name. And he says militias have changed. "You use the terminology 'old school' militia and 'new age' militia and it kinda is," Servino said. "The way you look at things — they way you approach them — is a lot different than it used to be." Arena agrees that most militias aren't like the Hutaree. "I think their reaction to this latest incident, to the Hutaree, kinda shows what their mind-set is right now," Arena said. "I think they were appalled, to say the least, at the planning and what these people were trying to do." That's what makes this story is so unusual: Militia groups and authorities worked together to break this case.